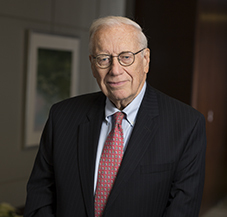 Robert F. Grele is a Principal in Cummings & Lockwood's Private Clients Group and is based in the Greenwich office. Bob joined Cummings & Lockwood in 1964 and became a Principal in 1972. Although he participates in many of the Firm's practice areas, he is primarily involved in estate planning and administration as well as real estate. Bob and his wife, Sue, live in Riverside, Connecticut.